The Arts Commission is seeking original artworks for prominent locations within this new City office space that reflect the nature of the work performed by the departments housed within it, the built urban environment, and the landscapes of San Francisco and the Bay Area. The San Francisco Arts Commission invites artists who work in two-dimensional media, such as painting, drawing and photography, to submit original works that are available for purchase for the 49 South Van Ness Two Dimensional Art program as well as other 2-D art programs. Up to $15,000 for unframed original artwork. Purchase price will depend on scale of artwork and market rate for artist’s work. Artists will be responsible for delivery to a specified location. Framing and installation costs will be the responsibility of the Arts Commission. Size of unframed artwork should be no smaller than approx. 20 inches x 24 inches in any direction and no larger than approx. 48 inches x 60 inches in any direction. Please note that the weight limit for each individual work is 70 lbs max. 49 South Van Ness Avenue is being developed by the City as a permit center and office building to be occupied by several City departments including Building Inspection, Planning, and Public Works. 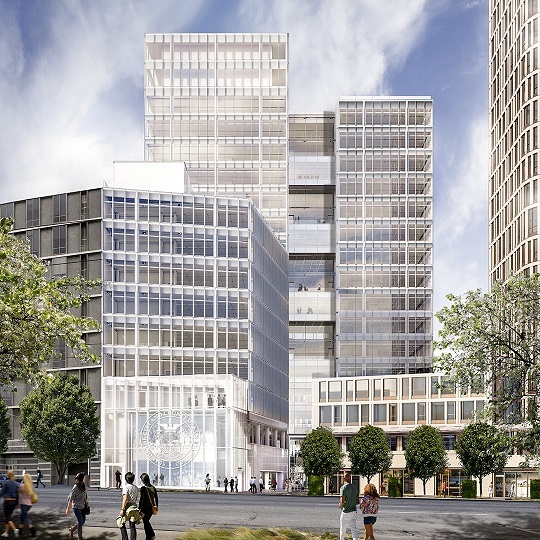 The new City building will be an 18-story tower on 11th Street between Market and Mission streets. The Arts Commission may consider applications for other city projects as well. Staff will review all applications and establish a short list of applicants for presentation to the Selection Panel. Artist Selection Panel: This list of qualified artists/artworks will be presented to an artist selection panel consisting of an Arts Commissioner, one arts professional, and one or two representatives of the client agencies. The Selection Panel will review and evaluate the list and select approximately 15—30 artworks for display. Final purchase of artwork is contingent on in-person review and approval of artwork by Arts Commission staff. Arts Commission Approval: The Artist Selection Panel’s recommendation will be submitted first to the Visual Arts Committee, a subcommittee of the Arts Commission and then to the full Arts Commission for approval. All Arts Commission meetings and Public Art Selection Panel meetings are open to the public and are posted on the Arts Commission website at least 72 hours in advance of the meeting. To check the meeting schedule for public art projects, please go to our calendar. The artist’s work is judged appropriate to the goals of the project. Please note that Arts Commission staff will be available to answer questions about this call until 5 p.m. (PDT or PST) on the deadline date, May 3, 2019. Please contact Craig Corpora at (415) 252-2249 or craig.corpora@sfgov.org.